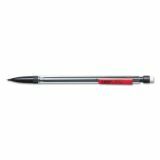 The #1 Selling Mechanical Pencil (source: The NPD Group, Inc./Retail Tracking Service/U.S. Actual Unit Sales: July 2014 -- June 2015). 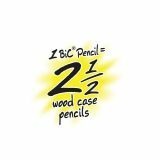 1 BIC® Pencil = 2 1/2 woodcase pencils. 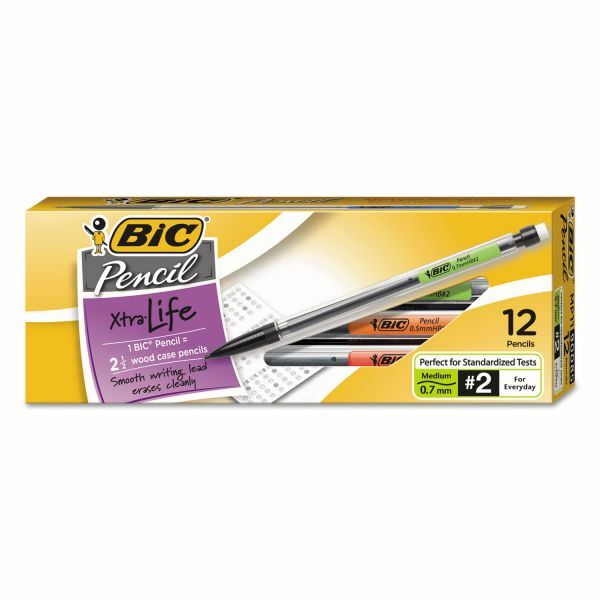 BIC Xtra-Life Mechanical Pencil, 0.7mm, Clear, Dozen - Mechanical pencils contain three full-length, self-feeding leads. Each pencil has convenient pocket clip to attach to pockets and folders. Provides write-out equivalent to 2-1/2 wood case pencils. Nonrefillable. Lead advances quickly and easily. Always ready, sharp and accurate, BIC® #2 Mechanical Pencils are the smart choice at test time. 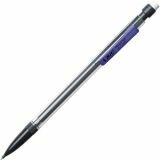 Scantron® tested the lead in the BIC® mechanical pencil(s) featured on this page and found them compatible for use on Scantron® genuine forms. Neither Scantron® nor BIC® warrant, guarantee or represent that use of BIC® pencils in conjunction with Scantron® genuine forms will be error-free. 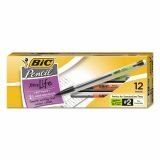 Scantron® assumes no responsibility or liability regarding use of the BIC® pencils featured.